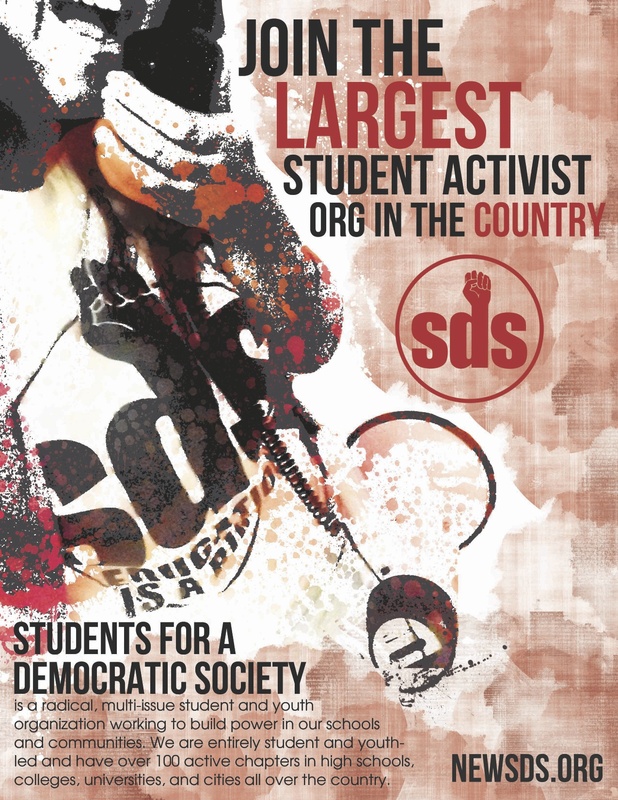 SDS is a national, multi-issue organization. We are a broad and inclusive group of people fighting for justice at the U of M. We believe that feminist, queer-positive, anti-racist and pro-labor politics can and will change our university for the better. But that progressive change can only happen through well-organized struggle. We need YOUR help to do this. 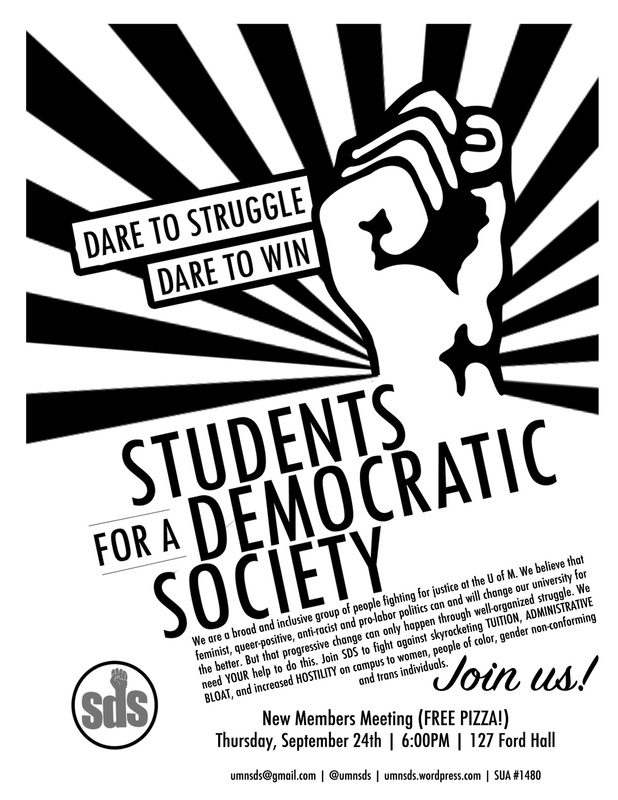 Join SDS to fight against skyrocketing TUITION, ADMINISTRATIVE BLOAT, and increased HOSTILITY on campus to women, people of color, gender non-conforming and trans individuals.